A phone that might well be the LG G2 Mini has popped up on not one, but two websites, and despite having 'Mini' in the name it could actually be pretty big. First up a device with the model name LG D6218 (thought to be one of the G2 Mini's model numbers) is listed on the FCC's database. 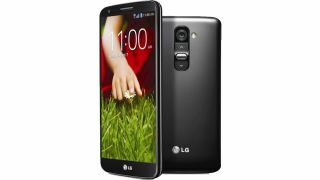 The listing states that it's 65.8mm wide and 128.8mm tall, which would mean it's only slightly smaller than the LG G2 and gives it almost identical dimensions to the LG Optimus L9 II, a phone which has a 4.7-inch display. The FCC listing doesn't say much else, though it does mention that the handset will have a removable battery. The LG G2 Mini also seems to have appeared on Bluetooth Special Interest Group's website. This time it has the model number D6220, but both are thought to be the G2 mini. The listing is even less enlightening than the FCC one, but with the handset popping up on both these sites it's likely to be launched before long. We'd heard initially that the LG G2 Mini might be as big as 4.7 inches and if true it would be the same size as the HTC One and substantially bigger than the 4.3-inch Samsung Galaxy S4 Mini or Sony Xperia Z1 Compact. Previous rumours also point to it running Android 4.4 and having a Snapdragon 800 quad-core processor and 2GB of RAM, which could give it a similar amount of power to the LG G2. In other words the LG G2 Mini looks to be a big, powerful, high-end handset. If that all turns out to be true then LG might want to rethink the name. We might see the LG G2 Mini at MWC. Check out what else is on the agenda.